Holt is a fine town. I had been complaining to Tom that small Norfolk towns were shabby and mean. He disagreed with me, and then we drove into Holt and I knew he was right. 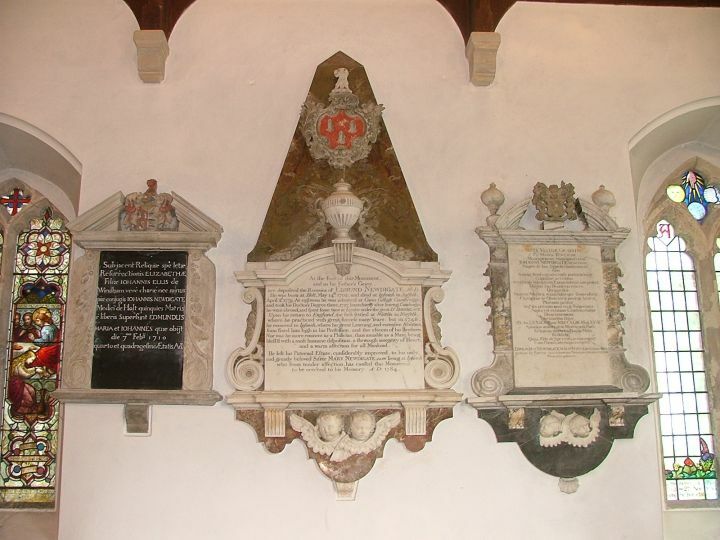 Also, the town plays a part in the life of two of my heroes, two of the most significant Englishmen of the 20th century: W H Auden and Benjamin Britten both went to school here at Greshams, in the years after the First World War. Both went on to break artistic ground, and the influence of both will be felt for generations to come. 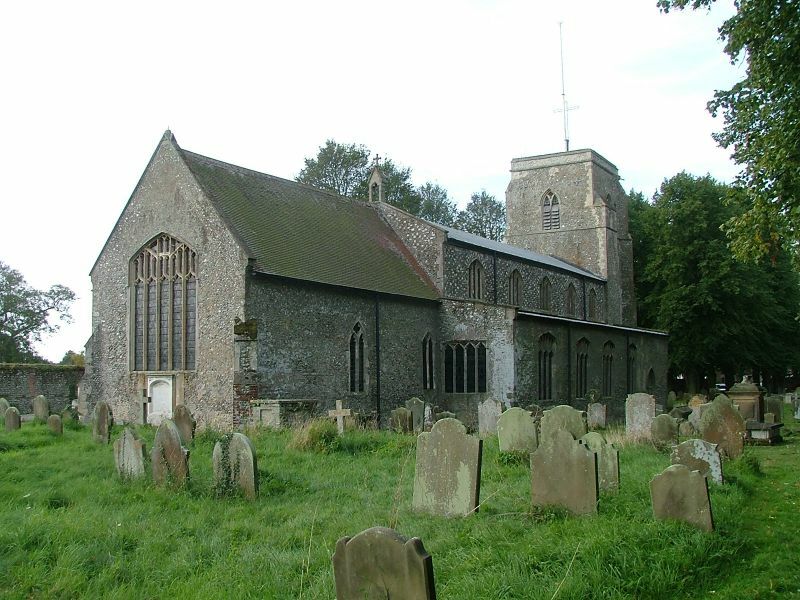 Britten loved his school days, and often played the organ in the church here. Auden, on the other hand, when accused of knowing nothing about fascism in the 1930s, retorted "On the contrary, at school I lived for twelve years under a fascist regime." 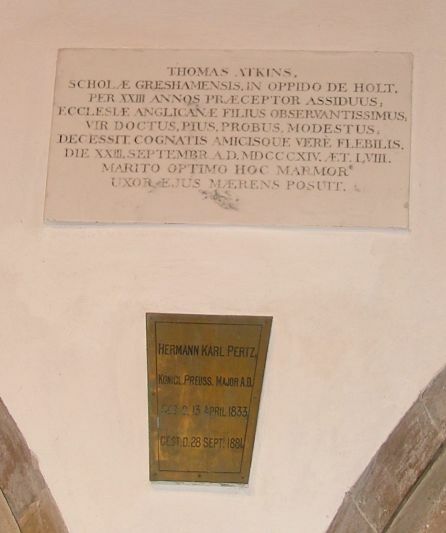 Auden's main complaint about Greshams was that boys were warmly rewarded for informing on any hints of physical intimacy in the friendships of others, which would then be beaten out of them. One suspects that Auden had more reason to resent this practice than Britten, who was rather circumspect about his homosexuality. The junior department of the school sits next to the church, which is approached up an avenue of trees. To stand in the graveyard looking back to the west is to be filled with the sense of being in a country churchyard, although the mobile phone antenna that springs up from the stumpy tower is a touch alarming. A lot of people dismiss St Andrew, because it is so extensively restored, both inside and out. To all intents and purposes it is a Victorian church in the shell of its Medieval predecessor. 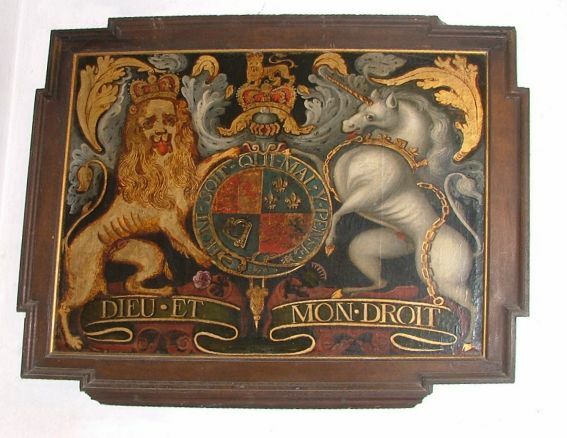 But I think that St Andrew is a delight. 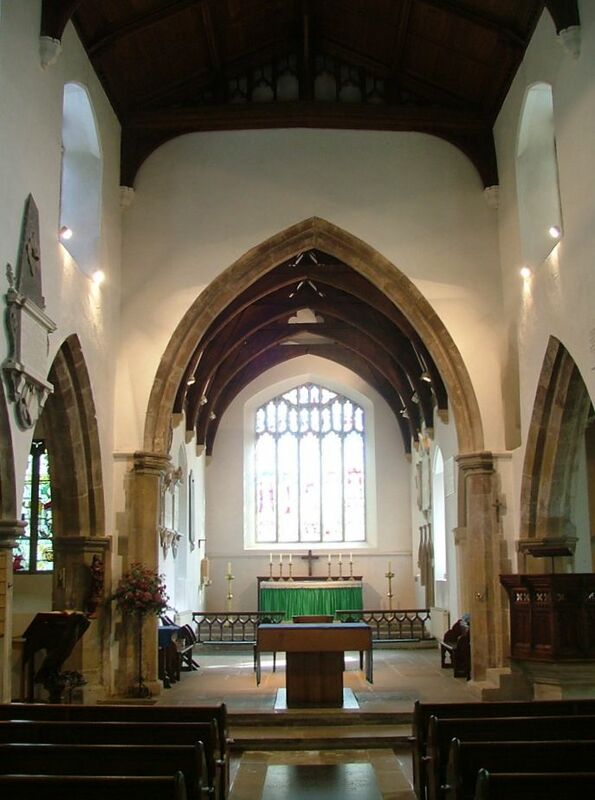 You enter, unusually for East Anglia, through the west door, and step beneath a modern glass of the patron saint into a warm friendly Anglo-catholic interior. The most striking thing is how clean and well-kept the place is, and then the sense of colour from the windows all around. 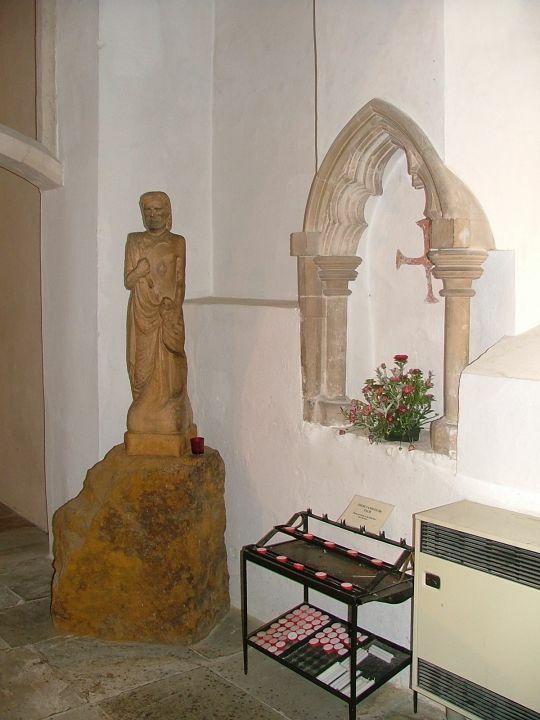 They depict the sequence of Saints you often find in Anglo-catholic churches of the period, and Julian of Norwich is a particularly striking figure. 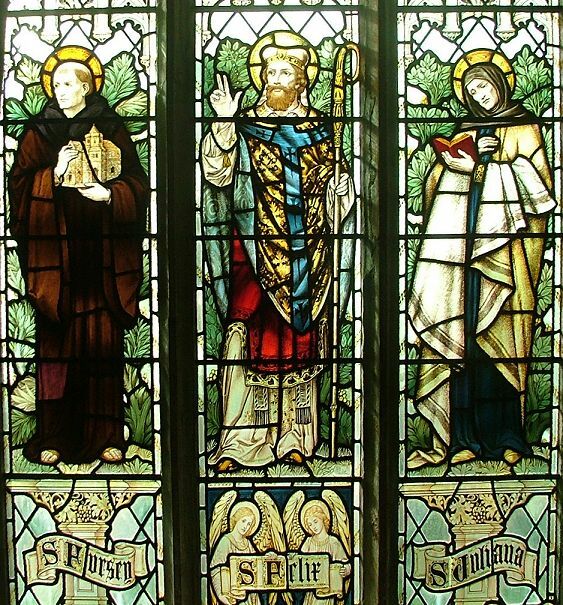 She appears in the window with fellow adopted East Anglians Fursey and Felix, and the artist has sanctified her, something the Catholic Church never did. Felix has a great beard. 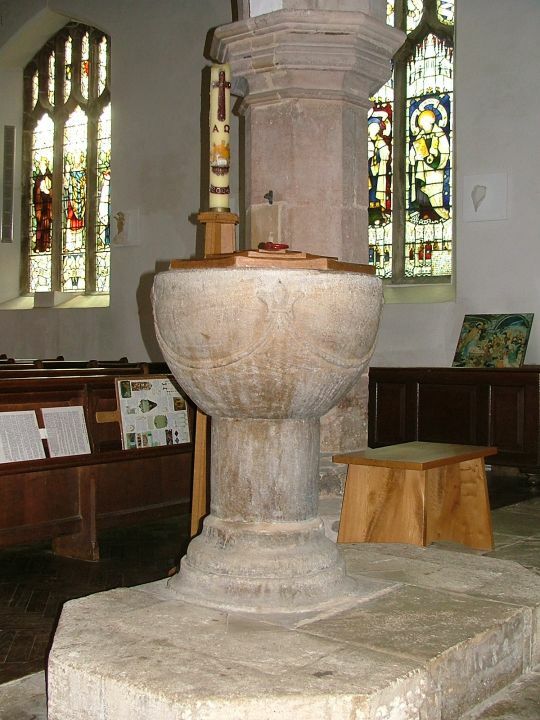 Curiously, the piscina in the south aisle has a consecration cross in it. 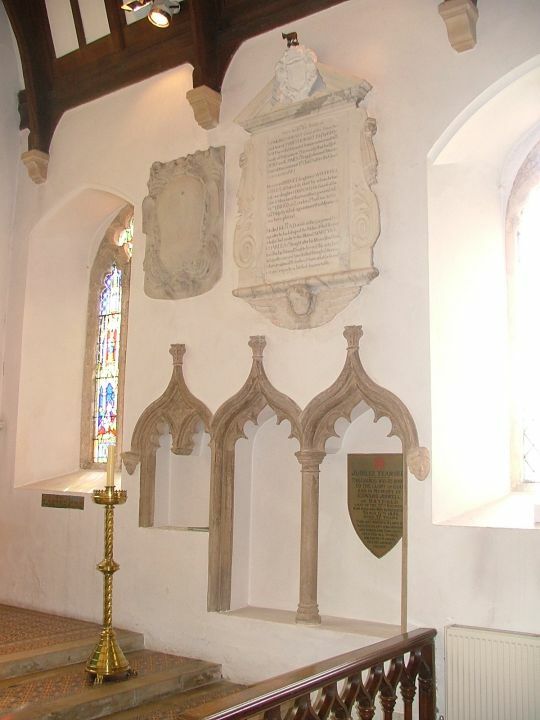 The chancel is big enough to suffer the three great Hobart memorials, although that in the centre bears a reading, recalling as it does that he was a Royalist who escaped the malice of the Usurper, and that his steadfast loyalty carried him through the storms of unnatural rebellion, a reminder that in late 17th century England the years of the Commonwealth were regarded as an offence against God. 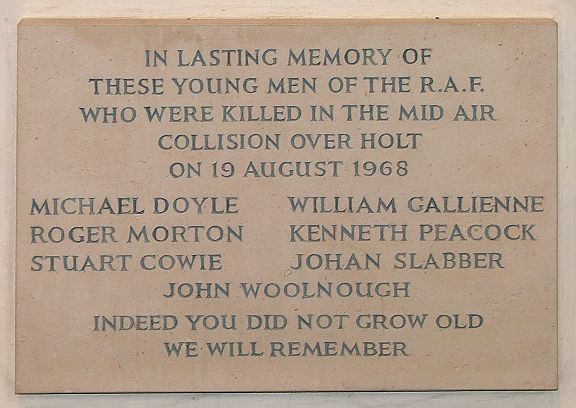 In 1968, two RAF jets collided over this town, and the memorial to the seven airmen killed is simple and moving. 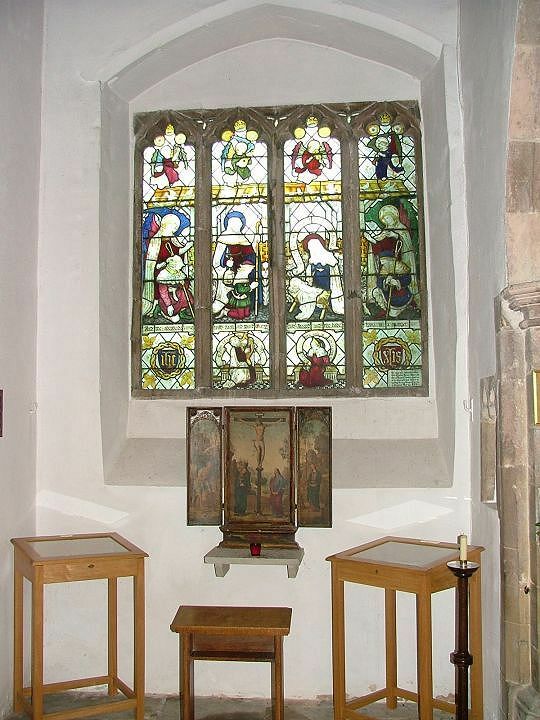 The chapel at the end of the north aisle has a Flemish-style tryptich, with more Saints in the window above. 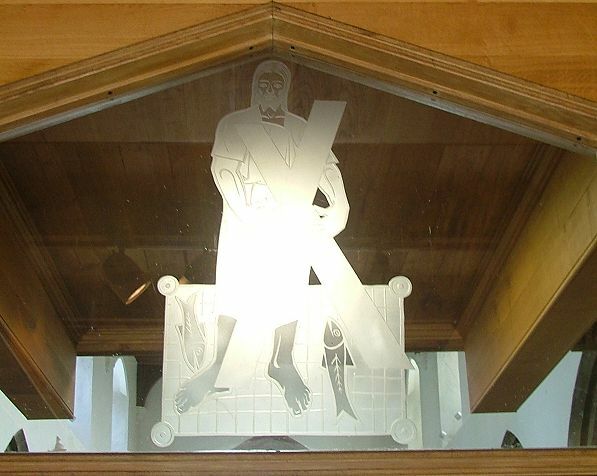 All around, the Stations of the Cross are ultra-modernist, abstracting the theme of each station into a cast of a hand performing the action. I liked them a lot. Turning back toward the west, you can see the organ set in a gallery above the way you came in. It is a new one put there in the 1980s. The organ that the young Britten played is no longer here, shipped out to a church in South Africa; but in recompense the cleared organ chamber has become a devotional chapel. 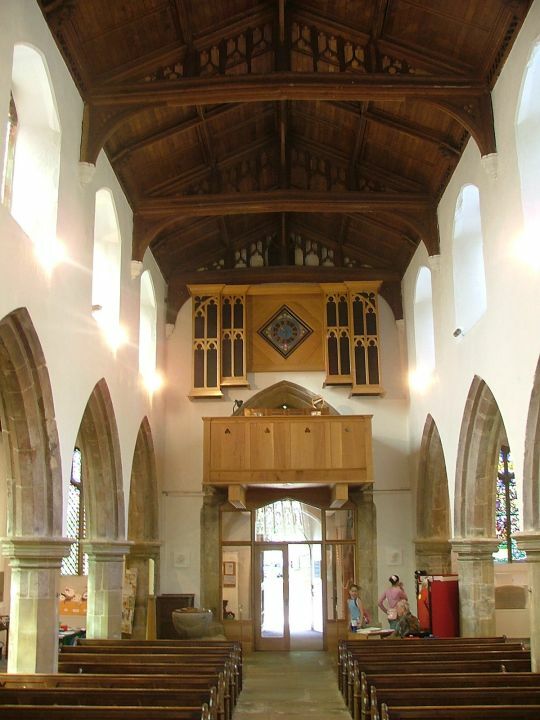 It is an architectural curiosity, given that the Victorians who built it tacked it on to the end of an aisle with an opening into the chancel. 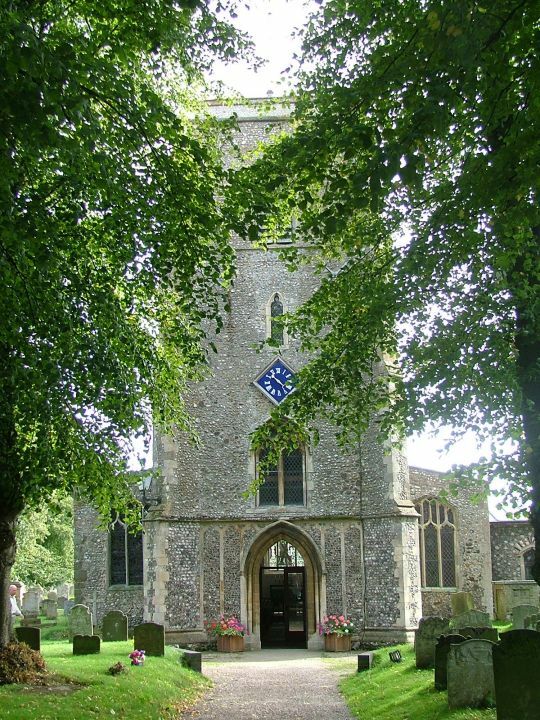 But, as at Barton Mills in Suffolk, it suits its new purpose very well, and makes you wonder why more churches don't do this.